Smooth and responsive powertrain; quick acceleration; excellent fuel economy; sporty handling; well-built interior with top-quality materials; stylish looks. Ride quality may be too firm for some; no engine upgrade available. 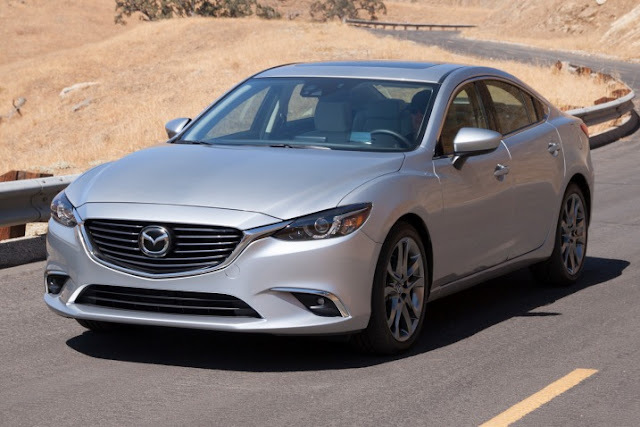 For 2016, the Mazda 6 sees a number of incremental changes. The Grand Touring trim gets revised front and rear styling along with new LED headlights that replace the previous xenon headlights. All versions except the base Sport with a manual transmission get a larger (7-inch) touchscreen and a Sport mode for the automatic transmission. Finally, every Mazda 6 receives an electronic parking brake and upgraded trim on the dash, center console and armrest.